I love to blog. I love to write and document my life and the fun stuff I get to experience. Yet, with my job I do have to censor myself a good amount with what I post and share. It is funny that this post is in the Blog-tember line up because I honestly think about this quite a bit when I am blogging or even posting on social media. A sad reminder of why I have to watch myself online so much was last year. Someone I work with printed my blog and gave it to a co-worker in an effort to get me in trouble. For what, I am not sure since it was about trips, and just general things I had been doing like shopping. I am unsure why this was done because my writing is pretty low key but it definitely made me rethink the online me versus the real life me. I am smart enough to never write names or give specifics when posting and this blog is about no one but me in all reality. I mean, lets get real. I live in a country where online slander is a huge no no, as in illegal (as is printing out peoples blogs or pictures and using them for defamation purposes) so you just use your head. As my mom used to always tell me, if you don't want people to know it, don't write it. So everything here is information I am comfortable sharing. So the on-line me I guess is a good amount more reserved. I take care with what I write and what content I use. The real life, face to face Mistie is much more upfront, direct, no fluff, and sometimes a little harsh. I believe in being a straight shooter and not pretending that I like certain things or people. If I don't care for you, that is it. I am not going to be fake or go out of my way to interact with people that I don't prefer. That is just me. I learned a long time ago that I don't need to waste time on people that I don't want in my circle. That is just who I am. Of course, online I don't have to worry about being around people I don't care for because it is a virtual interaction. I definitely voice my opinions when I want but I am more careful of the wordage I use. Tone is funny thing on the internet so I recognize you do have to be mindful of that. I guess online I definitely pick my words much more carefully and I am able to retract what I 'say' if I give myself the second thought of 'oh that sounded bad' or it might come off wrong. In person no one has that luxury. 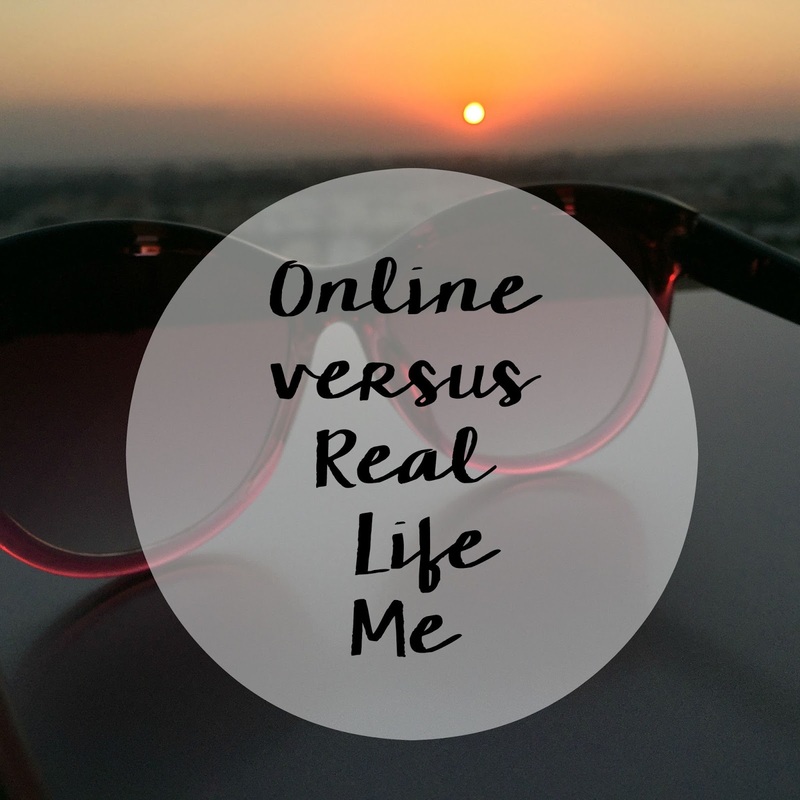 I guess you could say I am similar both in real life and on line I am just able to catch myself online when I am articulating thoughts. Whereas in person, sometimes I forget my filter.